NORFOLK, VA -- Some places are known because of what they are; some are known because of what they once were; others are known because of what they have become. And some rare places are known for all three at once. 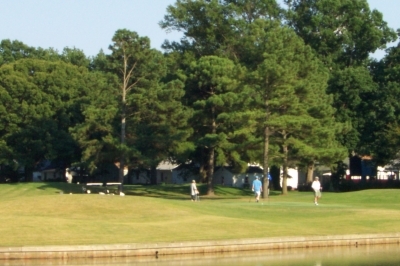 Such is the case for Ocean View Golf Course -- a quaint little municipal layout located a stone's throw away from the Chesapeake Bay in a continually revitalizing part of Norfolk. History puts Ocean View on the map. When you compare it to a lot of the newer vintage golf courses these days, there'd be little to equate it to -- it doesn't have stunning scenic views, sculpted sand bunkers or yawning forced carries over ravines or wetlands to define its character. Further, its condition isn't on par with PGA Tour venues or resort courses; and it won't overwhelm you with a layout that features eighteen finely crafted holes, cut from nature as if they'd been there from the beginning of time. But there's a certain charm about the place that's adequately demonstrated by a trip to the men's locker room. Sure, it has lockers and facilities like you'd find at many golf courses -- but I'd recommend taking a few minutes before tee time to peruse some of the pictures and newspaper clippings that don the clubhouse walls -- they tell Ocean View's real story. There, you'll see Arnie, Jack, Sam and even Tiger, all with their different temporal associations at Ocean View Golf Course. Taking a look outside, you'd never realize what makes this patch of ground stand out. 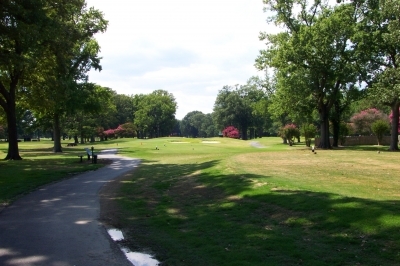 While the course is certainly worth playing (it was voted Norfolk's favorite public track for a number of years in a row), the landscape isn't spectacular. Or even distinguishable. But still, all these famous golfers lent their time to this place at some point -- pretty special in its own right. Ocean View Golf Course opened in 1930, built by military veterans as a place to enjoy a nice round of golf in a public park setting -- and the scene was a pleasant one, just a few hundred yards from the beach. 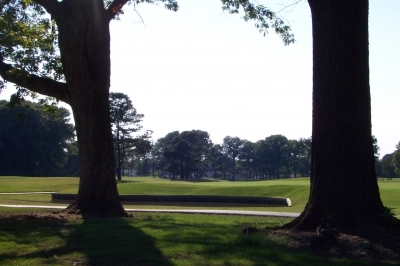 Over the years, Ocean View hosted four Virginia State Opens and a professional exhibition in 1963, where Arnie, Jack and Sam Snead took part. The property's history is impressive -- not many golf courses outside of legendary PGA tour venues can boast this many famous feet having trod the ground. Time changes things, however, and that's even true for places like Ocean View. The property and the neighborhood deteriorated, and the course fell into disrepair, if not disrepute. The State Opens went elsewhere; the marquee names stopped coming, and so did some golfers, fearing the horrible drainage and course conditions and perhaps even the drive into this part of town. It's nice to know there's a happy ending here, because Ocean View underwent a $2.8 million (funds from American Golf Corp. and the City of Norfolk) renovation last year, lengthening some holes, putting in some lakes to help with drainage and completely redoing the green complexes -- which helped to restore much of its prior glory. And then Tiger Woods made a visit last September (2000), giving one of just four junior clinics he performs annually at Ocean View for his Tiger Woods Foundation. Pictures of Tiger surround the clubhouse's eating area -- you almost expect one of his Nike balls to drop from the sky at any moment. So Ocean View's story is one of history, fame, deterioration and revitalization. Almost sounds like a Shakespearean tragedy. But it doesn't necessarily overshadow the golf -- it compliments the experience. Linda Hussey, Ocean View Golf Course's Assistant Manager, says it's hard to forget the history when you play there. "We're in a pretty unique situation -- we're essentially a municipal golf course, but we've been fortunate enough over the years to host some really famous golfers. And now, with the renovations that we made last year, the golf course gets back some of the playability that was lost prior to the work. We were extremely pleased with Tiger's visit, and it's all part of our continuing progress towards making this a truly great golf facility." The course isn't long at 6011 yards from the back tees (par 70), and the slope of 119 won't make the hair on most players' necks stand up with fright. The layout's basically flat, but the fairways are tree-lined and the Bermuda rough will keep you honest. There are also a few lengthy holes to challenge your long clubs. 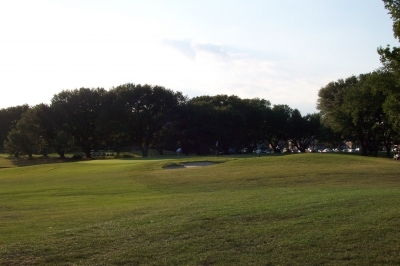 In addition to the low yardage figures, the course plays reasonably short because of its flat ground--that yields quite a lot of roll to tee shots or bump and runs. Ocean View's three par fives are reachable for long hitters, and only two par fours will require more than short irons to test the approach shot. The key is to keep the ball in the fairway -- but even here -- if you're in the adjoining hole's short grass, you'll have a reasonable opportunity to advance the ball on yours (maneuvering around trees, of course). All around, it's very player friendly. The newly reconstructed greens conform to USGA standards, and roll well for Bermuda putting surfaces -- which you don't see much in these parts. I'd recommend asking the head pro for some tips on how to read the grain, however--or be frustrated as I was with measuring the speed -- some quite fast, others very slow. The round begins with a 351 yard dogleg right par four. We were fortunate to play with a gentleman who works at Ocean View, Bob -- who gave some driving tips to help steer clear of the trees. This is one hole where you'll need it -- because even a good drive may roll through the fairway into the trees, as I found out. 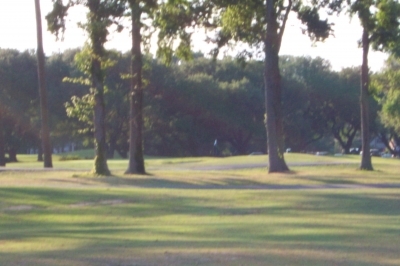 The second hole is one of the most challenging on the course. A lake runs all down the right side of the hole -- put in during the renovation. You'll have to avoid trees on the left as well as the water right -- drive it down the middle! Many a yardage book recommends exactly that. Sound advice. Number six is a unique par three. Hussey points out that six shares a huge green with #15, and while not apparent from the tee, it does. It's also the longest par three on the course, at 197 yards -- don't pull it left, or you'll be putting from someone else's green. Nine's got an interesting tee shot. From the back tee box, you've got a low hanging tree you'll need to fade around or go under -- which makes club selection challenging for this 285 yard, potentially drivable par four. Take the safe route and it's an easy sand wedge and potential birdie try. Moving to the backside, number thirteen's probably the most scenic hole on the course. Surrounded by water on three sides, you'll have to closely measure the wind direction to choose the right club into the green. 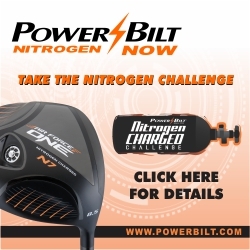 Luckily, it'll be the difference between two short irons -- the hole only extends to 153 yards from the back tees. Sixteen's the most challenging par five on the course. It calls for a 200 yard carry from the back tees to fly a portion of the lake and reach the fairway. If you don't have that in your bag, try aiming for the forward tee box on the left side -- as Bob did, putting it right up on top of the plateau. If you get a good drive, the green's definitely reachable -- very open to a run-up shot. The round concludes with a nice 375 yard par four, slight dogleg left. The hole shares a lake with number two, but this time, the water's down the entire left side. A tricky driving hole because of the water left and trees to the right, leading to a satisfying conclusion with a green protected by a bunker front and right. Summing it up, a visit to Ocean View Golf Course provides many things. A pleasant round of golf on a refurbished course; a chance to trace the footsteps of legends; and a good view of urban revitalization taking place before your eyes. Worth the trip -- but don't forget to leave time for the newspaper clippings! Weekends: $33 for Norfolk residents, $35 for non-residents. Includes cart. Weekdays: Walking rate is $20, and non-resident walking rate is $22.50. Riding is $29 for residents and $31 for non-residents. Twilights: Weekends after 3:00 p.m., $25; weekdays after 3:00 p.m. is $22.